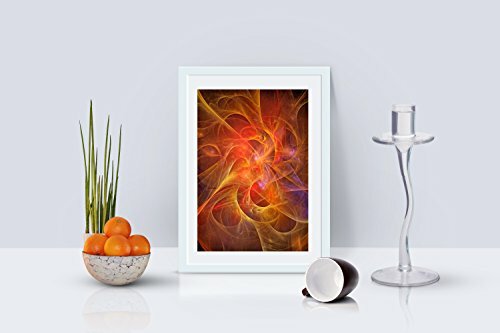 This abstract photography highlights the marriage of technology with fine art through fractal art. Featuring a striking contrast of impregnable blackness overcast with swooping lines of Blue and Pink, this abstract art print evokes a sense of wonder, reflection, and illusion. Size is 8" X 10" unframed and no mat included. Watermark will NOT appear on final piece PLEASE NOTE Every computer displays colors and brightness differently. Because of this, your computer may not depict the exact color of the artwork.